Estonian parliamentary elections. Be prepared and vote! The Estonian government has declared that 87,721 of its citizens permanently living abroad have the right to vote and can do so at embassies/consulates, by mail or internet. This many voters, if they exercise their rights, could influence the outcome of upcoming 'Riigikogu' elections. 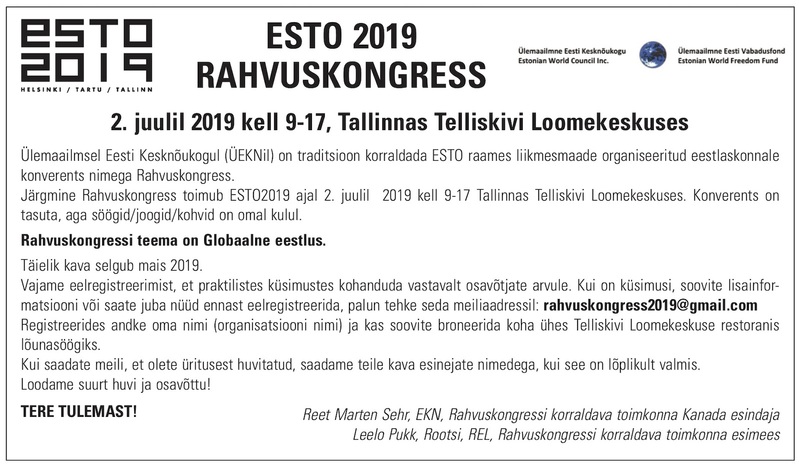 On March 3, 2019, Estonian citizens will have the right to re-elect their parliament. 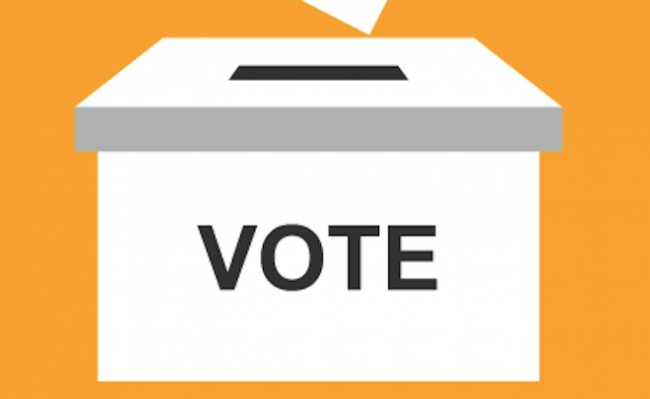 For citizens living abroad, the polls will be open in February. In Toronto voters can make their choice on Saturday, February 16, at Estonian House. Voting by mail will also be available with instructions to be released soon. Yes, the non-voters, by surrendering their right to vote, leave the field wide open to those who have political influence through financial clout or those that are able to amass support with unattainable populistic promises. Is it too far-fetched to suggest that the non-voter, who certainly has the right not to participate, doesn't believe in democracy? Some Estonians abroad insist that they don't know the candidate choices, don't know the issues, live in a foreign country and don't pay any taxes in Estonia. The excuses are weak. We all have access o the internet. The choices and issues are there to read in both Estonian and English. A chat with an informed friend also gives sufficient information to make an informed choice. In general, ex-pats don't pay taxes to Estonia, But neither do they use the hospitals, highways, education system and most all other services for which tax payers living in Estonia pay. Ex-pats do not add to the financial burden of the country. Estonian law says that all electors can vote, irrespective of the country of residence or their payment/non payment of state taxes. About 50% democratic countries invite voters abroad to participate in elections and provide the means for them to do so. The Supreme Court of Canada has made its perspective known on the question of limiting the right to vote for Canadian ex-pats abroad. Just recently it struck down a law, enacted in 1993, that barred Canadians living abroad for more than five years from voting in federal elections. It found the law unconstitutional. The individuals bringing the action said that nothing warranted an abridgment of their constitutionally-guaranteed right to vote. They insisted that they maintain deep ties to Canada and many laws that parliament passes affects them. While the arguments in the Canadian Supreme Court did not address the question of voting as a citizen’s duty, they did maintain voting rights to being intrinsically tied to the ex-pats’ sense of identity of being a citizen of a democracy that provides maximum opportunity for citizens to participate in establishing the conditions for one’s future. One could legitimately ask whether having the right to vote and not using it is an indirect vote against the democratic process. In a democracy, this right comes with the RESPONSIBILITY to participate and contribute. This right has been given to you by the freely elected parliament of Estonia. Your duty is to use it.